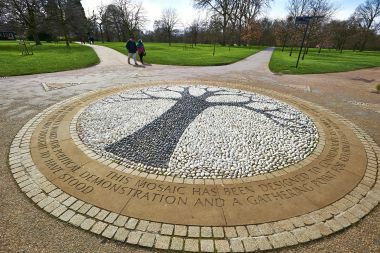 Stood in the south west corner of the Parade Ground, this circular black and white floor mosaic of a tree commemorates the Reformers' Tree. 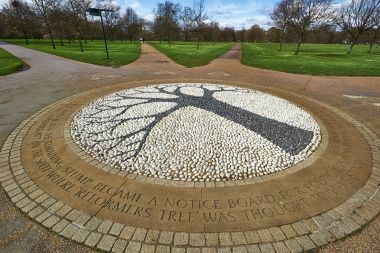 The Reformers' Tree mosiac in Hyde Park. Circular black and white floor mosaic commemorating The Reformers' Tree.